There was no mortarboard, just that pristine mane of thick black hair that's become Sean Monahan's trademark. Nonetheless, there was a graduation feel to Friday morning's press conference at the Saddledome. Three years after the centre arrived in the NHL, calm, cool and full of confidence, media and team officials gathered for the centre's graduation from his entry-level contract. It was a day of celebration for the organization, the city and all Flames fans. "I'm so excited to be here. This is where I want to be and a seven-year commitment is huge," said Monahan. "To play here is pretty special and I wouldn't want to be anywhere else." In a summer in which the crème de la crème of the NHL's 2013 draft class has moved on from their ELCs, sporting the highest grade-point average of the bunch and easy choice for valedictorian was Monahan. For that distinction, he will get paid, signing a seven-year, $44.625 million deal. Notably, Monahan's AAV is $75,000 more than Nathan MacKinnon, first overall pick in 2013, who until Friday was the highest-paid from that draft class. What does the difference work out to? Well, I'd suggest it's far greater in principle than in actual dollars. Converted into math that you or I -- the non-professional athlete -- can better comprehend, it's the equivalent of giving both MacKinnon and Monahan a crisp new $100 bill, then fishing around the loose change in the ashtray of your car to find an extra $1.19 to flip to Monahan. No, I don't mean $1.20 either. 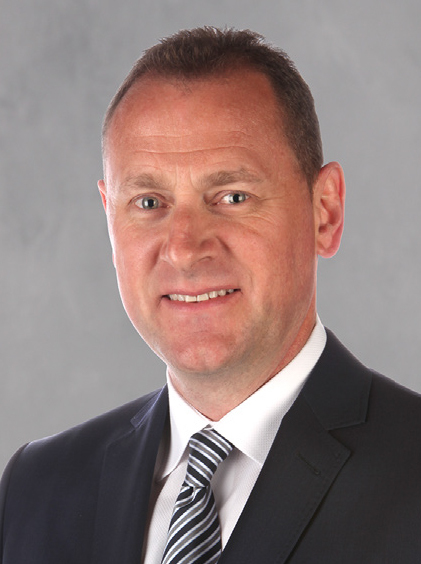 Players are paid in U.S. funds where the penny is still a thing and I don't doubt tough-as-nails general manager Brad Treliving would be that shrewd. If he's giving Monahan a couple dimes with that additional dollar bill, his hand is out and he's waiting for his one penny in change. "It's a great deal for him, 21 years old and to have that type of financial security, but with it comes responsibility," said Treliving. "When you make those types of commitments, as much as everyone looks at goals, assists and points, it's the person you're investing in too. We have no concerns about the person we've invested in here, he's a high, high character person." Coming 132 agonizing days after the season ended and more than six weeks after MacKinnon came to terms in Colorado, the inevitable yet long-awaited announcement was a great day for the organization. Also, chalk it up as a modest victory for Treliving. In managing Calgary's tight salary cap situation, he probably did the best he realistically could given the ammunition possessed by Pat Morris, Monahan's agent. "You're always looking at a market place, trying to find common ground and comparable contracts, so it always plays a part. The good news for Sean is what he's done over the first three seasons has put himself in a really good position," said Treliving. "But then you're projecting up. You can get into a problem in a cap system when you're paying significant dollars for things that have happened in the rear-view mirror, but we think he's just scratching the surface." With both sides pleased with the final outcome, we're left to speculate about which side ultimately gave in the most to get the deal done. Both sides will have moved but if somebody travelled a bit further, it wouldn't surprise me if it was Monahan's camp. Based on their NHL resumes so far, Monahan has done more and was deserving of a higher number than what was fetched by MacKinnon. If he got $6.5 million annually or even $6.75 million, I wouldn't have been stunned. Instead, Treliving locked him up for virtually the same figure. In addition to the distinction of being the only one of the five to wear a letter, the statistic that distinguishes Monahan from the players -- MacKinnon, Aleksander Barkov, Jonathan Drouin, Seth Jones, Elias Lindholm -- drafted before him, is his lethal scoring touch. His 80 goals is 21 more than MacKinnon and 28 better than Barkov, the next two on the list. Add in the 2011 and 2012 draft classes as well and Monahan still ranks third in goals, behind only Gabriel Landeskog (2011, 100 goals) and Brandon Saad (2011, 83 goals). Also, he has scored the most goals in franchise history before turning 22, just ahead of Robert Reichel (79) and Dan Quinn (72). There are varying opinions on where Monahan's two-way game is at today. In general, the consensus would be that it's behind a guy like Barkov. While that may be true, the reality is goals are still what gets you paid in this league. While the evolution and wider spread acceptance of advanced stats and alternate ways to measure contributions continues, we're not there yet in the NHL. In fact, it may take until the next CBA for concepts like Corsi to be fully embraced. If you look at what statistics players can be offered bonuses for and these are written into the CBA as performance bonus schedules permitted, we're talking about so-called conventional numbers only. e.g. Time on ice, goals, assists, points, points-per-game and -- be prepared to plug your nose -- even plus/minus is in there. This is in addition to things like being named to the all-rookie team and playing in the all-star game. Similarly, if you look at the arguments permitted in a salary arbitration case, once again, conventional stats is still what rules the day. 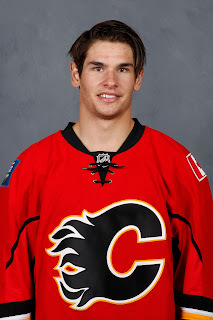 He's an Ontario kid but Monahan loves Calgary and why not. The city has been great for him and he's been great for the franchise. Having a drafted and developed fixture at top line centre is something the Flames haven't boasted for over 20 years, since Joe Nieuwendyk moved on in the summer of 1995. No disrespect to Mikael Backlund, who was the Flames No. 1 centre on and off through 2013-14, but Monahan has been entrenched as that guy the past two seasons and that's homegrown stability on the top line that has been missing. Looking back at who has been cast in that role the past couple decades, it's been a non-stop carousel of players brought in via trade or free agency -- Mike Cammalleri, Olli Jokinen, Daymond Langkow, Craig Conroy, Marc Savard, Jeff Shantz, Andrew Cassels, Dave Gagner. There's been nobody of the ilk of Monahan. It's been a gigantic void and Treliving realizes the importance of his role. "Sean plays a critical position, which is centre ice. Everybody here has heard me talk ad nauseam about the importance of building through the middle," said Treliving. "He's a big centreman, he can score goals, he can make plays, he can play on both sides of special teams, he's a big body. All those types of things." Now there's no guarantee that Monahan makes it to the end of this contract as a Flame. Not to be a buzz kill but how many players play 10 years in the same city anymore? But he does have a limited no-trade clause that kicks in for 2020-21 and Calgary has always been a market where players enjoy living and love to play. In team history, so going back to 1980 when the Calgary Flames came into being, Monahan already has climbed to 31st in goals, one back of Doug Gilmour. He's 62nd in games played. To be honest, that goal total could be much higher too. We know the kid is lethal from within 15 feet. His shooting percentages in his first three seasons are a potent 15.7, 16.2 and 13.7. Find a long-term fit on the right side of Calgary's top line and a 35-goal season is a possibility, maybe even 40. And who knows what happens after that. If you really want to stare into that crystal ball and play the 'what if' game, add on another four-year extension and we're talking about a player that very likely ends up second in both goals and games, behind only Jarome Iginla. Although there's a good bet he drops one spot when Gaudreau signs, Monahan's AAV ranks 48th in the NHL for 2016-17. "Ultimately you look at the production. Sean has put himself at the upper echelon when you look at his three years," said Treliving. Surely over the next couple weeks, you'll also be able to add Monahan's buddy and linemate Johnny Gaudreau -- 14 months older -- to the above list. If only we had the slightest idea where on that list he will land. Even more eye-popping is what he's done in his first three years in comparison to his much older peers around the league. Remember, these numbers were amassed at age 19, 20 and 21. Imagine how the next three years could look at age 22, 23, and 24 and a lot closer to his prime. For context, the only other player in the top eighty in goals over the last three seasons, who did so on his entry level contract for the duration, was Tampa Bay's Nikita Kucherov, who is tied for 48th in goals over that span with 68. Meanwhile, the rest of his game continues to steadily round out. Monahan's assist total has steadily climbed from 12 to 31 to 36. Of those 36 helpers last season, 25 were primary assists, which tied him for 24th in the league. 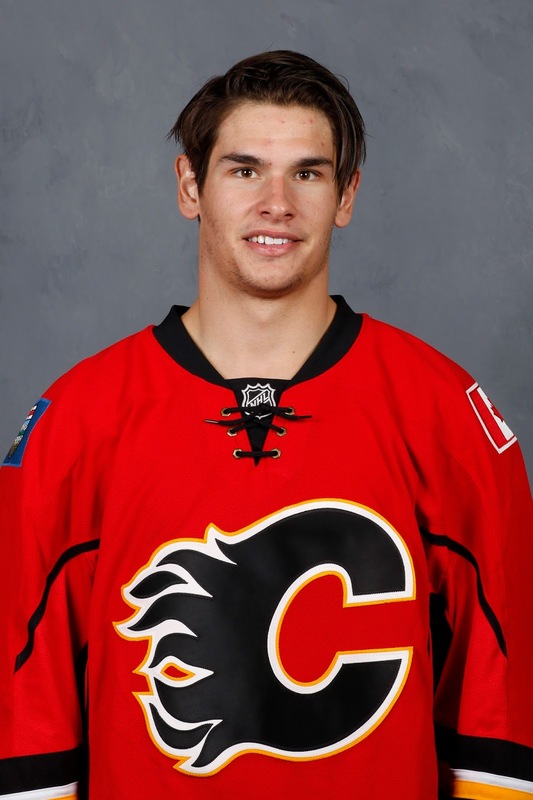 When Monahan came to Calgary this week, it was to meet with the training staff. But packing a suit, apparently, was a good pre-caution. "I didn't even know I was signing. I came out here to get some medicals done before the World Cup so I didn't have to do them there," said Monahan. "I was going to do some training with Ryan (van Asten), our strength coach and next thing I knew, I got a call from my agent and he asked me if I liked it and I said absolutely, and we got it done. A little change of direction while I was out here but it's a good change." Watching him sweat out the announcement, clearly this type of thing -- the lights, the cameras, the attention -- isn't in his comfort zone, but as long as he performs on the ice, I don't think anyone cares. "That was the first interview I've ever been so nervous for," Monahan admitted. "It hasn't really kicked in and doesn't feel real. Obviously, everyone wants a lot of money but at the end of the day, I'm 21 years old, I want to play hockey, I want to win a championship." And, he wants to do it in Calgary. "Loyalty is key and obviously I want to play here. If you could play until you're 50, I would sign a 20-year contract as fast as possible," Monahan said. "This is where I want to be, Calgary is home and there is no other fans I'd rather play in front of than try to make them proud and have that excitement in this building." For a long time in the mid-to-late 80s, Calgary had a very good team. Monahan looks forward to bringing those glory days back to the city again. "I want to be here and I want to win here. I've talked to a lot of guys that have been here for a long time, guys who have retired and have won the Stanley Cup here. It's a special city to play in and it's home now. I'm excited to be here and I couldn't be happier." Given all the change this off-season, he can't wait to get started. "Obviously Brad's made some big moves this summer. Got some new goalies, some new players that are going to help our team," said Monahan, who has talked to new coach Glen Gulutzan several times. "It's been a long summer, obviously. Without playoffs, summer can be the same thing. You go on the ice, you work out, and you just want to play a game. "I'm looking forward to getting out there for the World Cup, I'm excited about that, then getting back here with the boys. I'm getting pretty anxious and I just want to get out there and play." Moving forward, if you had a choice between MacKinnon and Monahan, most would probably still take MacKinnon. But the bottom line is what Monahan has done so far, you can't take away from him. The other intriguing fun fact about Monahan's salary is it's nearly identical to what Jonathan Toews signed for in his second deal with Chicago back in 2010. Add in inflation and the fact that the Toews deal (five years/$31.5 million) was two years shorter and it's fair to say Toews' $6.3 million AAV at the time should be considered better than what's essentially the same figure for Monahan. But it's still a curious co-incidence for a player that Monahan has frequently been compared to in regards to his always-serious demeanor. Maybe, just maybe, if Toews is Usain Bolt, Monahan will turn out like Andre De Grasse. Now we wait and see what Gaudreau signs for and -- speaking of comparables -- if it's a similar number to what Kane got back then, which you'll recall was the exact same contract as Toews. I wouldn't hold my breath on that one but if anyone could pull off that kind of wizardry, it might just be the Flames GM. Character, character, character, that’s why people have already asked, is this the next captain, and in years to come he just may be, but whether, or not that ever becomes a reality what we do know now is that you win with guys like Monahan on, and off the ice. Maybe Johnny does stir the drink, but in that analogy Mony is the glass in which you serve it. Great young man, and may I say that has impressed me most about the way this team is shaping up under Tre that Character seems to be everywhere. Great talent, and a great contract. I like so many others love it; leaving me curious about only one thing. Darren why in the world would you take MacKinnon? McKinnon with Gaudreau on his wing would be an 80pt candidate and elevate Gaudreau to that 90+ pt range. Monahan's only real advantage is he has been more healthy which make sense as he actively avoids the tough areas on the perimeter. I am happy with the Monahan contract but the McKinnon one is better value for a younger, quicker, more individually dominant player. Who also shoots right and would have allowed us to go after a better left shot winger like Loui Eriksson instead of a passenger like Brouwer. Monahan shooting left had nothing to do with Brouwer. Team needs more than a few right wingers. Generally you want those players shooting right. Mackinnon, at center, doesn't impact the Flames at RW. And thank god the Flames didn't hand out an awful contract like those given to Eriksson, Lucic, and Ladd. I'll take Brouwer 1.5 cheaper and 3 years shorter no problem. Great contract. And I just want to thank you for such a great article and a shoutout to me crew over on CP! !